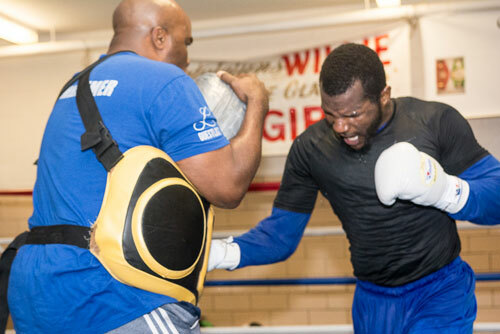 Junior welterweight contender Hammerin’ Hank Lundy, 26-5-1, 13 KOs, has tons of talent, a hard head, and a boat-load of confidence., and he’s not afraid to spread the word on his own behalf with a lot of brash talk – before, during and after a fight. His hands are fast, but his mouth is probably faster. 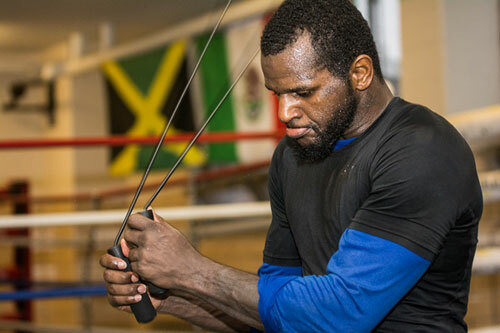 Throughout his nearly ten-year professional boxing career Lundy has always envisioned his eventual rise to world champion status as one of life’s certainties. He has had his ups and downs along the way, but has managed to stay focused on his goal, eagerly awaiting an opportunity back up all of his self-reliant swagger. 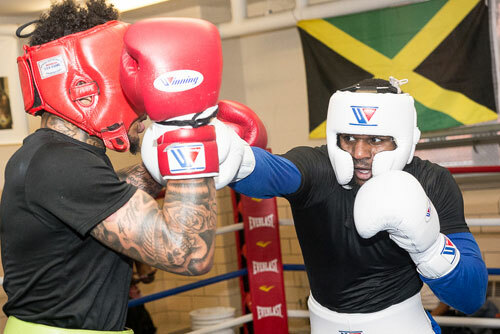 Prime opportunities have come his way before, although never one as big as Saturday night’s clash with WBO junior welterweight champion Terence “Bud” Crawford, 27-0, 19 KOs, at Madison Square Garden Theater. The championship fight will be televised live by HBO. 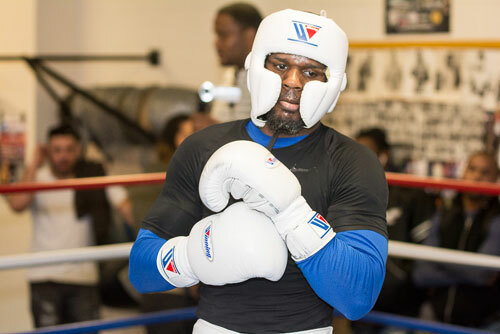 Although Crawford has been avoided by some of today’s top fighters, Lundy jumped at the chance to fight him. No surprise there. Hank is known as a guy who takes on all comers, especially if the fight presents an opportunity to prove something to the world. Lundy exudes confidence. He truly seems to believe that he cannot be beaten. Point to any of his five career setbacks, and Hank can debate away any notion of defeat in all of them. 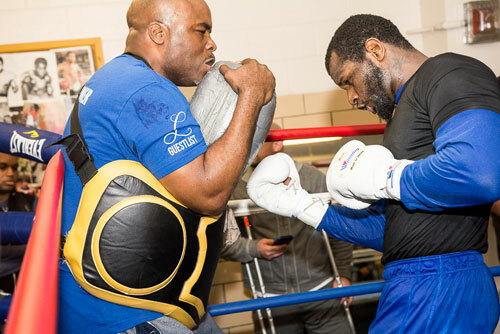 Fighters can be like that, but Hank is convinced that he holds every possible advantage over Crawford, a guy who most of the boxing world thinks will chew Lundy up and spit him out. Thus far, Lundy has achieved quite a bit of success. He’s won regional title belts in two different weight classes, earned #1 ranking at lightweight, and a top five spot at junior welter. He’s faced solid competition and still boasts a good-looking record. On Saturday, Lundy gets his chance to show the world. The question is whether he can back up his words with a life-changing performance. Some think Lundy is crazy for even thinking he can win, but this is the beauty of Hank Lundy. Confidence oozes from every pore and his date with Crawford is exactly the moment that he has been waiting for. 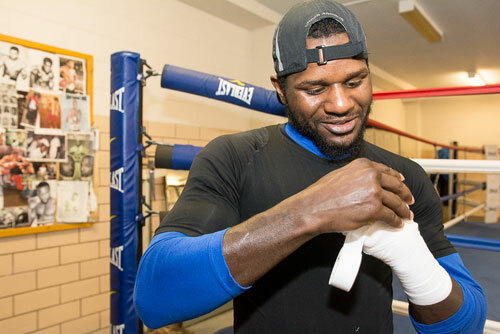 To Lundy, Saturday night’s bout isn’t the big-time East Coast debut for the Nebraska-bred champ, as Crawford’s promoter, Top Rank, has planned it to be. No. 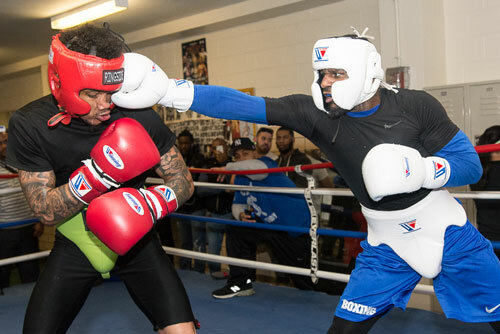 Lundy only sees the fight as “Hammer Time”, the moment when the world catches up with Hank’s opinion of exactly how good he is. 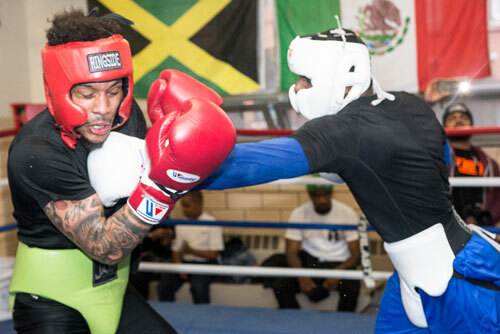 I spoke with Lundy at the Marian Anderson Recreation Center, the place in South Philly where Lundy’s career began as an 18 year old amateur boxer. DID THIS COME OUT OF NOWHERE FOR YOU? 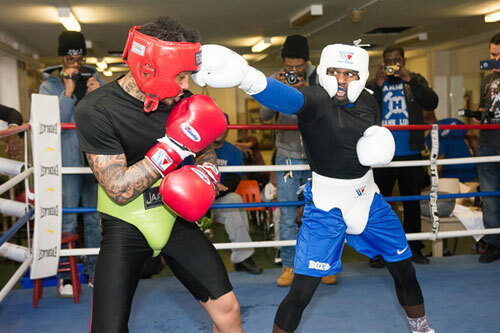 WHAT DO YOU THINK OF CRAWFORD AS A FIGHTER? STILL, YOU HAVE TO CONSIDER IT YOUR TOUGHEST FIGHT, RIGHT? ARE YOU THE CRAWFORD’S TOUGEST OPPONENT TO DATE? DO YOU LIKE BEING THE UNDERDOG IN THIS FIGHT? HOW DO YOU FEEL ABOUT FIGHTING AT THE GARDEN? 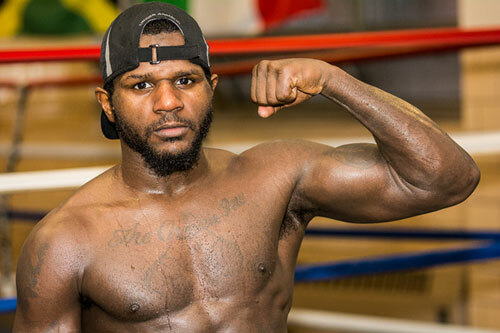 HAVE YOU FOUGHT ANYONE THAT REMINDS YOU OF CRAWFORD? WHY DID IT TAKE SO LONG FOR THIS TITLE SHOT TO COME? DO YOU SEE THIS AS YOUR CHANCE TO FINALLY PROVE YOURSELF TO EVERYONE? HOW WILL IT FEEL TO BECOME ANOTHER CHAMPION FROM PHILLY? 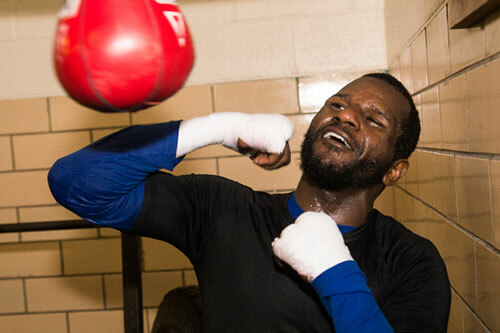 DOES IT BOTHER YOU THAT MOST PEOPLE THINK YOU DON’T HAVE A CHANCE AGAINST CRAWFORD? DO YOU BELIEVE YOU CAN KNOCK OUT CRAWFORD?